Ships from and sold by B1 Hub Australia. 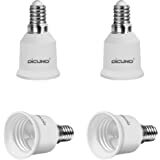 ONE STOP SMART HOME SOLUTION Easy Wireless Home Automation (WiFi Control) / Universal IR Control and Learning / Adaptive Intelligence for Air Comfort and Savings/ Energy Management/ Lighting Control. All your devices can be controlled via mobile app which is compatible with iOS and Android. UNIVERSAL REMOTE CONTROL B.One Eazy can act as your universal Infrared Controller and at the same time work as a WIFI repeater for your home. 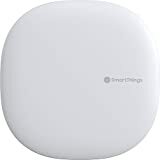 You can control your smart devices from a single hub. VOICE AND CHATBOTS CONTROLLED Using B.One VoiceAct smart home skill for Google Home and Alexa, you can automate complex tasks with simple commands. The hub also works using Facebook and Line Messenger ChatBots. For example say 'Alexa' turn on 'Movie' to power ON your TV, Turn on Blu-Ray Player, dim the lights and adjust AC temperature, all this with simple voice command or using the Facebook or Line Messenger Chatbots. BUILT-IN SENSORS B.One Eazy is equipped with inbuilt temperature and light intensity sensors. B.One Eazy lets you set "Actions" to automate activities combining IR and Wi-Fi devices. You can create up to 20 Actions and as many sequences as you can think of; for example create "Good Night" Action to turn light OFF, switch security camera ON, STOP music all this with one touch or voice command. 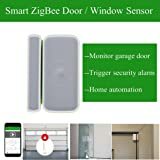 AFFORDABLE HOME AUTOMATION under $100. This is the best Gadget Gift for your loved ones. 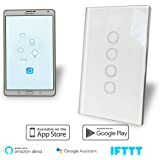 WiFi Smart Light Switch Au Approved Google, Alexa, IFTT controllable Glass Panel 4 Gang. 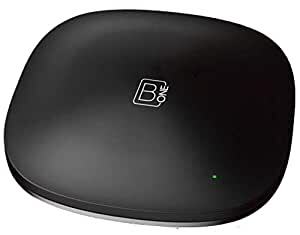 B.One Eazy is a Wi-fi to IR Gateway that allows total control of all your Infrared (IR) controllable devices and few Wi-Fi enabled smart home devices through a simple and easy to use a mobile app. Radio band: 2.4 GHz (* 5 GHz Wi-Fi is not supported). Infrared remote control learner: You can download and use remote controllers from various manufacturers. Air conditioners: Daikin, Fujitsu, Hitachi, Mitsubishi Electric, Mitsubishi Heavy Industries, Panasonic, SHARP, Toshiba etc. TV: Sony, Panasonic, Mitsubishi Electric, Toshiba, SHARP, LG, Hisense, etc. 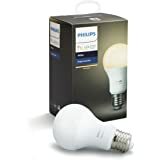 Other remote controls such as ceiling lights and projectors are available. Even if the manufacturer is not in the B.One Mini application, you can learn infrared buttons (learning remote control function). Getting Started: Please download and use the smartphone application. It is necessary to create an account to use the application. B.One Mini has an in-built temperature sensor. You can monitor the room temperature from your smart phone. I've been using this for a month or so now and it has been absolutely fantastic. Easy to setup and configure. The main purpose was to remotely turn on our air conditioner, which we've been able to do easily, with the added benefit of being able to control this through Google home. The other remote configurations are great, and the ability to learn from other remotes is fantastic. Just doing this after hooking up to Google home, I can turn on all of my entertainment devices that I use regularly with a single click of a button. Still coming to grips with the full functionality of this device. 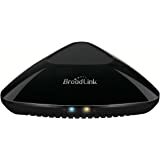 Easy install and connect to wifi. Easy to add devices to its menu. However, not all IR remote functions seem to translate to the app of the device, and certain commands from the app do not perform. For instance, mute button on app will mute Tv as xp3cted, but pressing same button to unmute has no effect. This might be my fail, eg not allowing for lag time, so I suggest users might have a learning curve on this one. This is a very cost-effective device controller which I use for turning on / off an air conditioner. The set-up / configuration is very fiddly, but once you get past that process this unit works well. You can control the device from the mobile phone app, and it works well. The set-up process for the comparable Sensibo device is much better and simpler, but the b.One is 40% cheaper so if you can survive the set-up process of the b.One you will save $$ and have a comparable product to the Sensibo. Loved this product as it allowed me to add devices which google's platform wouldn't. Easy to setup in google. Only issue ive had is with google not letting me add a second b.one easy... would be handy if it supported dual band ... still can turn a/c on when coming home from work so house is cool. Can turn everything off by voice command. 5.0 out of 5 starsBeautiful, elegant, smart and easy automation! It was super simple to connect and setup, a very simple and elegant design too. You can also do some advanced automation controls which can set scenes, temperature, lights based on location, temperate, time of day and many more options. A fantastic affordable way to start into automation without anything else needed. 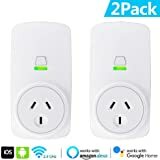 Bought this to add more functionality to my smart home particularly control in other rooms. I use it to run a tv and also my Roomba robot vacuum and the ir works flawlessly. Definitely worth the money. 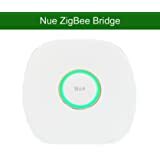 Works perfectly, connected easily to air con and my google home. Loving the ability to run IR devices such as our old a/c, our non-wifi robotic vacuum etc. Small downside is the limited compatibility but it’s slowly growing so happy to wait. Large downside, support happens when you order to explain if there’s a delay but after that, adios muchacha, you’re on your own. Tried calling, after 3 rings got a “leave your name & number and we’ll get back to you”, no return call 2 days later. That’s after waiting 3 days for an email reply.